New at The Farm - Ibis Mojo HD3! We've got black and green HD3s in the shop! They look and ride great! The XTR1x Werx build includes XTR 11 speed, Fox 36 160mm, and super-wide carbon Ibis wheels. 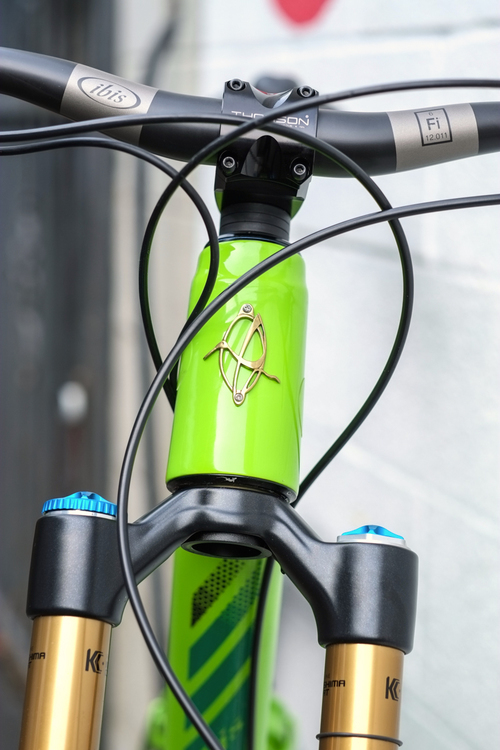 ane Creek's Inline DB shock is tuned to get the most out of the newest iteration of the DW-link. Thomson stem and carbon Ibis bars. Most cables are routed internally for a clean frame--an appreciated improvement from the HD and HDR. New XTR 11 speed rear mech and cassette (made of steel, titanium, and carbon! ).